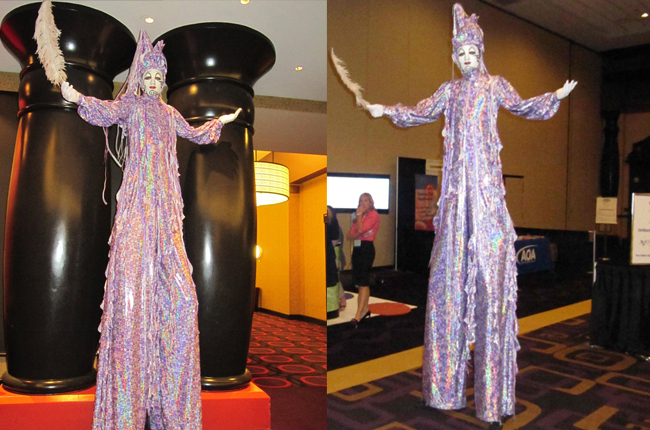 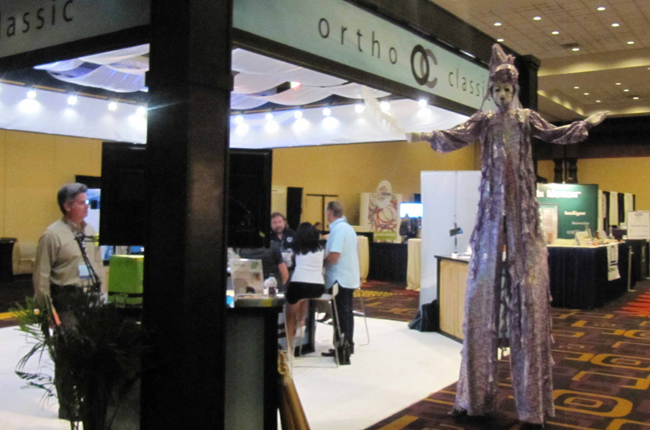 Guaranteed to attract attention, standing close to 9 feet tall, stilt walkers are a perfect addition to any event, or trade show booth. 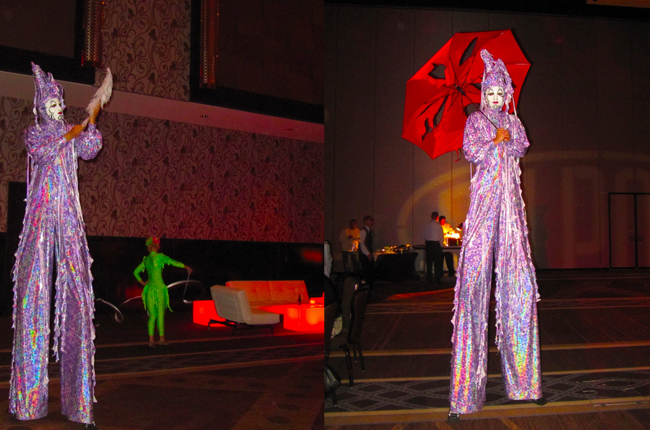 These performers’ costumes can be customized to fit any event and theme. 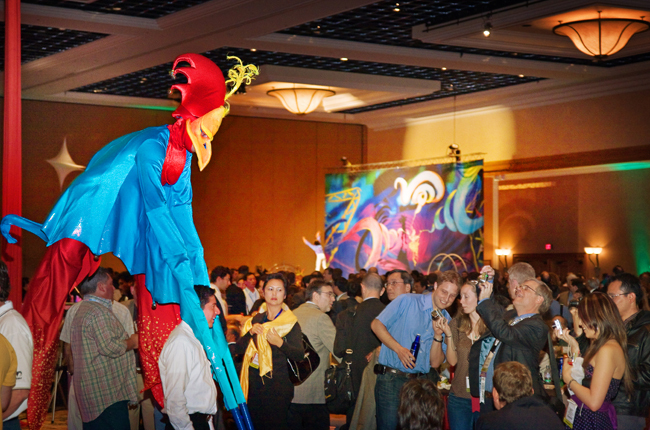 Some popular themes include: Clowns, balloon artists, Mardi Gras and cirque characters. 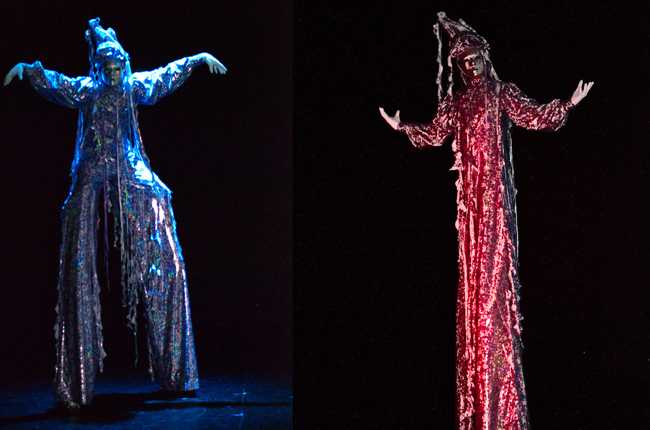 Jumping stilts are also quite amazing as the performers combine many different styles of jumps, twists, and flips.